Autoroute 15 southbound and autoroute 20 will be closed to traffic in the Turcot Interchange from Thursday evening, April 4, to Monday morning, April 8. Bus lines 111 (Haut-Saint-Laurent sector) and 28 (Sud-Ouest sector) will be rerouted to metro station Angrignon (free transit fares for the metro will be given to users for their trips to and from their destination). Please note that our urban forestry teams will be cutting down trees affected by emerald ash borer on Bruce Street between Canvin Street and Eaton Street as well as on Hymus Boulevard between Andr�-Brunet Street and Aesop Street. 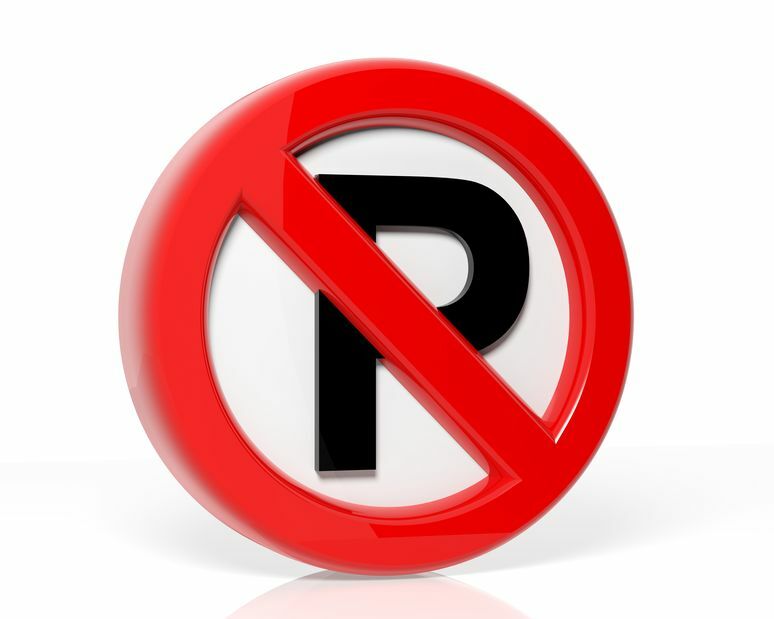 Parking on these public roads will be prohibited between 7�am and 7�pm on the dates mentioned where orange signs will be present. 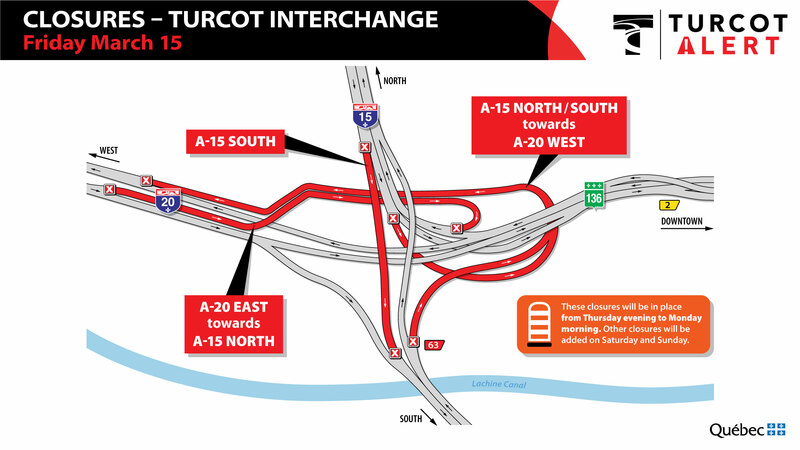 Autoroute 15 southbound and three ramps will be closed to traffic in the Turcot Interchange from Thursday evening, March 14, to Monday morning, March 18. Difficult traffic conditions are to be expected, especially on Friday, March 15. It is recommended that road users favour carpooling and public transit whenever possible. 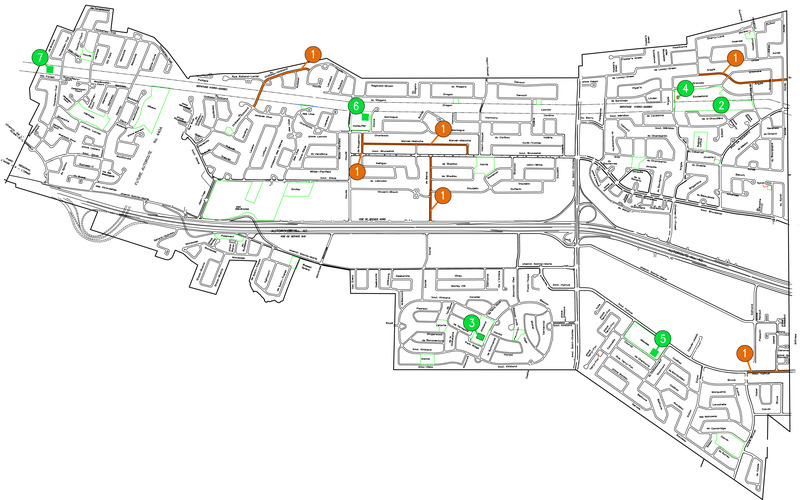 The following is a description of the major projects your city has scheduled for completion this coming summer. Access to the driveway will be restricted for a few days to allow the concrete curb to harden. Residents who intend to carry out landscaping projects, outdoor painting, window cleaning or have their driveway repaved this summer should postpone until work on their street is complete. * The park will only be accessible during the period of Day Camps. For more information on the projects scheduled this summer, call the Engineering Department during opening hours at 514 694-4100.